Call today for our lowest price quote guarantee and get free inside delivery and setup with your purchase (800) 431-9689 or (847) 441-8440. Lowest Price Quote Guaranteed. Call Now (800) 431-9689 or (847) 441-8440. We Price Match - Found it cheaper elsewhere? Let us know. We will beat their price! *Listing must be from an authorized dealer and currently doing business in the United States. Lower prices product's condition must be identical to the product available from our store. The CycleOps Phantom 5 Indoor Cycle is the evolution of everything we know about cycling performance at CycleOps. The CycleOps Phantom 5 Indoor Cycle Bike combines ten years of research and development in the category, listening to cyclists of all levels. And what we all share is the craving to re-live that epic ride. Bodycraft introduces the Bodycraft SPR Indoor Club Group Cycle. There are many indoor Cycles in the marketplace but none provide the smooth feel of the Bodycraft SPR Indoor Club Group Cycle. Rated highly by many users and Fitness experts, gives this cycle one of the top spots on our list for home and institutional use. Free Shipping Lowest Price Quote Guaranteed. Call Now (800) 431-9689 or (847) 441-8440. You're Dedicated to Winning. Get a Bike Dedicated to Indoor Training, the Cycleops Phantom 1 Indoor Cycle. 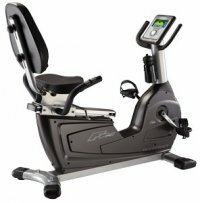 Bodycraft introduces the Bodycraft R18 Recumbent Exercise Bike. There are many Exercise Bikes in the marketplace but none provide the smooth feel of the Bodycraft R18 Recumbent Exercise Bike. Rated highly by many users and Fitness experts, gives this Exercise Bike one of the top spots on our list for home and institutional use.